Ranganthittu Bird Sanctuary , is Karnataka's largest bird sanctuary . It is located near Srirangapatna , in Mandya district of Karnataka state. It is also known as "Pakshi Kashi of Karnataka" . 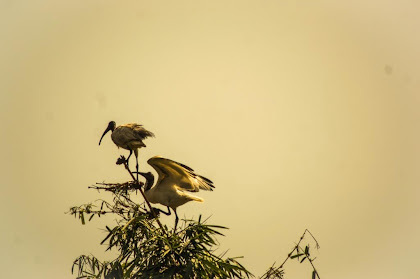 This place is a must visit for bird lovers , for the variety of birds coming here . The place is located in a peace and calm area, quite away from the city ,making it a perfect weekend getaway to be spent with your family .